– In old days slaves , who arrived in Venezuela transported from Africa by Spanish conquerors, believed that the sound produced by the drums was the soul of rhythm, the music. It Is A Choreography That Combines Aerobic Movements With Expressive Movements Of Body And Dance Techniques Which Help In Fast Learning Of Basic Steps Of Latin Rhythms Such As Merεngue, Salsa Reggaeton And Others. A fitness dance program coming from Venezuela and started in Greece with Pedro Santana!!!!! 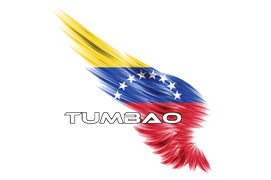 Now Tumbao is in USA, India, Cyprus, Brazil , Turkey ,Argentina ,Canada , Ecuador ,Spain, Saudi Arabia, Dubai , Ireland and Norway !!! !